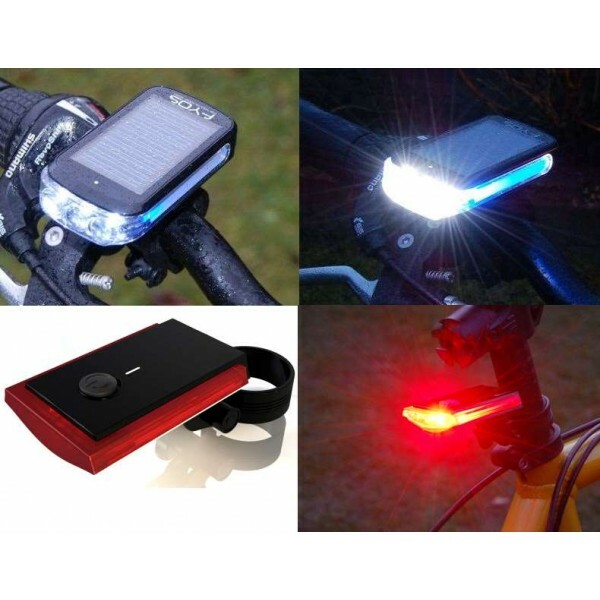 Splashproof Bicycle Lamp with two light modes, continuous and flashing mode. 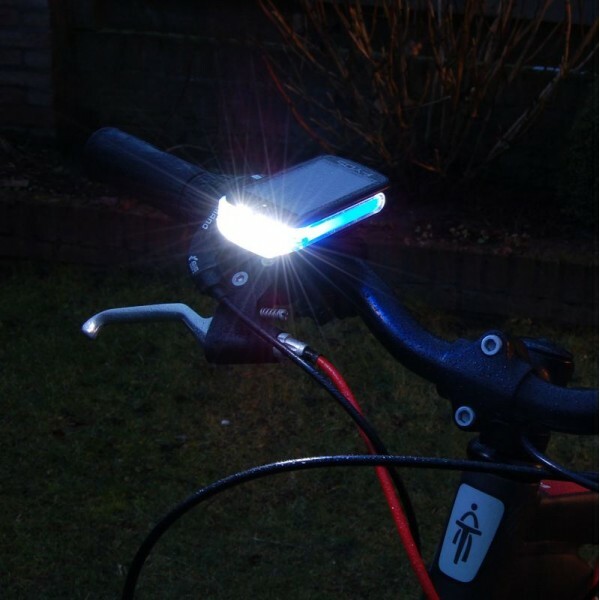 This bike light is highly visible from the side by blue﻿ side light. The lamp is detachable from the handlebar and can also be used as a torch. The lamp is equipped with built-in rechargeable battery that is charged. Using the solar panel The three supplied AAA batteries are used as backup power and turns on automatically when the rechargeable battery contains enough energy. 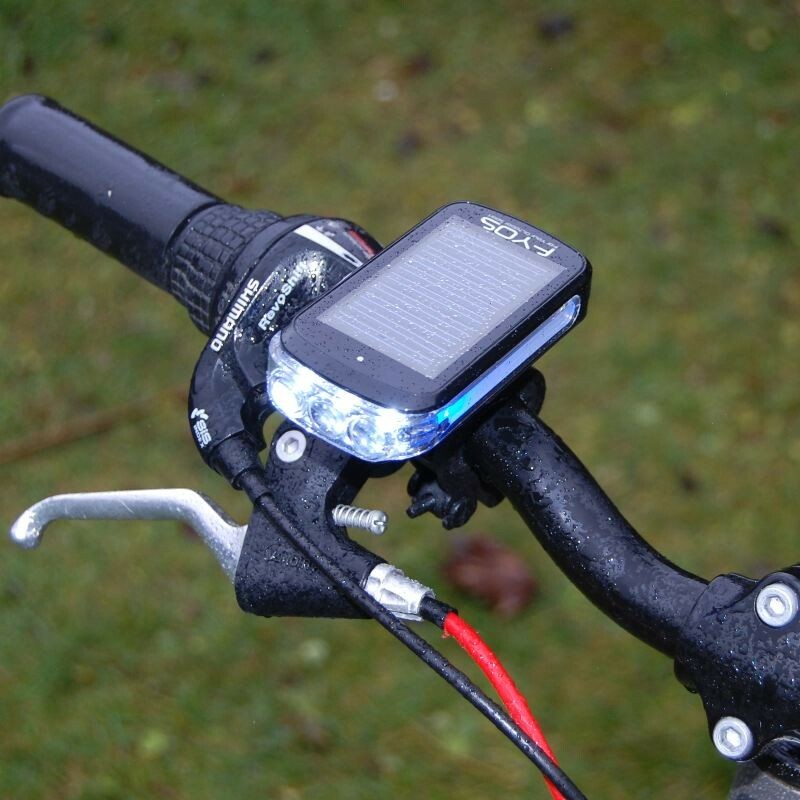 The NiMH battery is fully charged in 1-2 hours in sunlight.